At Bennetts Timber we like to see our customers turn into repeat customers, this gives us a good indication that we're meeting your needs and that you choose to come back afgain and again for the quality products that we supply. To celebrate this loyalty we've come up with a REWARD SCHEME - from 29 June when you make 10 purchases over £10, we'll give you a 10% discount on your next one. WE HOPE THIS MAKES YOUR 11TH PURCHASE THAT LITTLE BIT SWEETER! 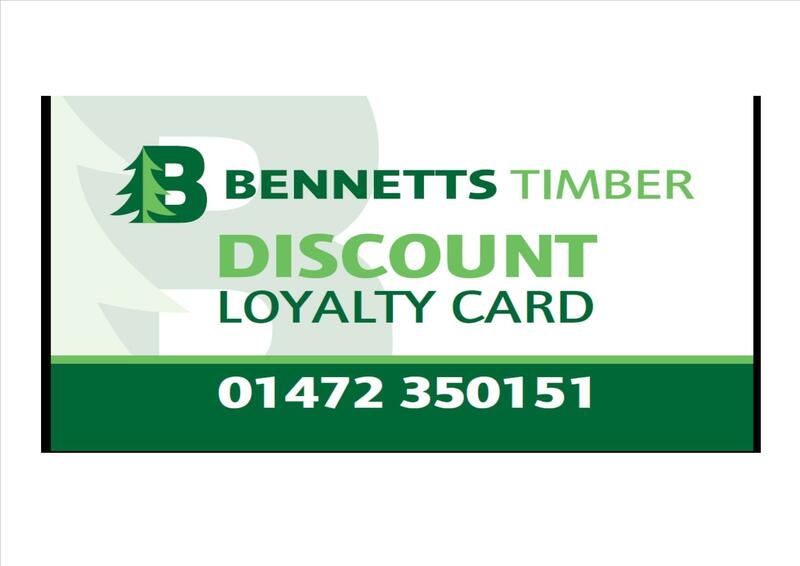 Come and collect your Loyalty Card which is now available in store from the Trade Counter.